UPDATE: This Sale has concluded. 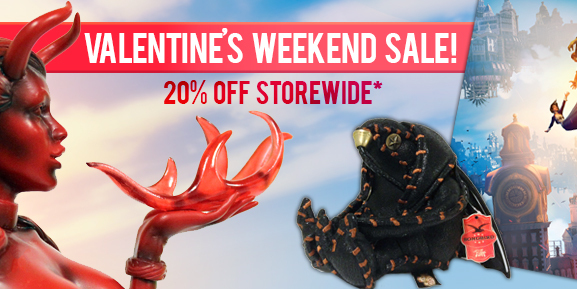 As a Valentine’s Day present to all of our fans, we’ve launched a new sale on the Irrational Games Store, featuring 20% off on nearly every item in the store. The sale extends even to some of our most popular items such as the Songbird Plushie, BioShock Infinite Falling Art Poster (signed version available as well), and for the first time ever, the Devil’s Kiss Vigor Bottle. Full details below. *20% Off Select Items. This offer is valid on store.irrational.com only. Certain restrictions apply, offer valid on select apparel, collectibles and games only. Offer cannot be combined with any other sale or discount and does not apply to previous purchases or credits. Offer valid through Monday, February 17, 2014, 11:59pm EST. ET is local time in New York City, USA. Offer cannot be redeemed for cash. Details of offer are subject to change and may be canceled without notice. 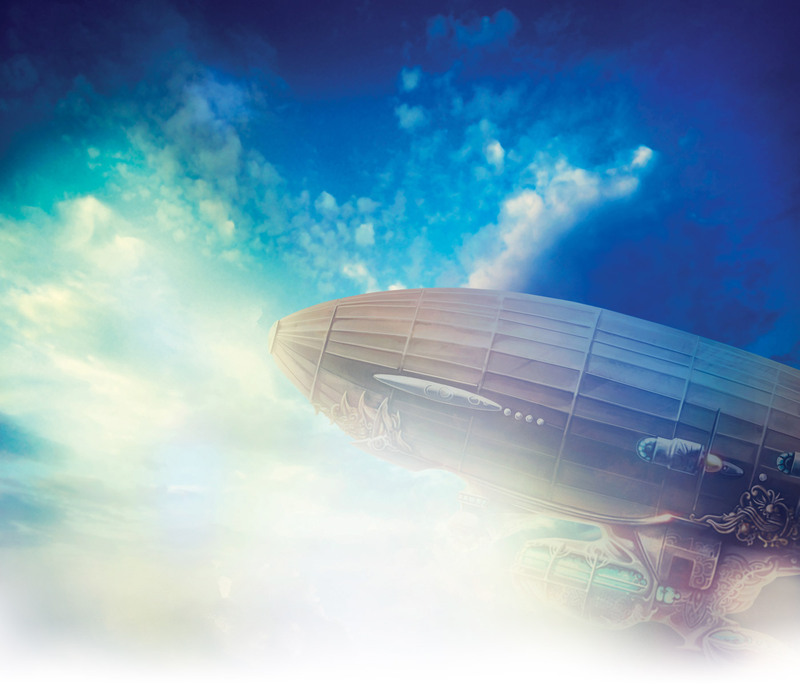 Shop the Irrational Games Store, today!